Enisyl-F helps support a healthy immune system, respiratory health, and normal eye function. Cats and kittens love the taste! 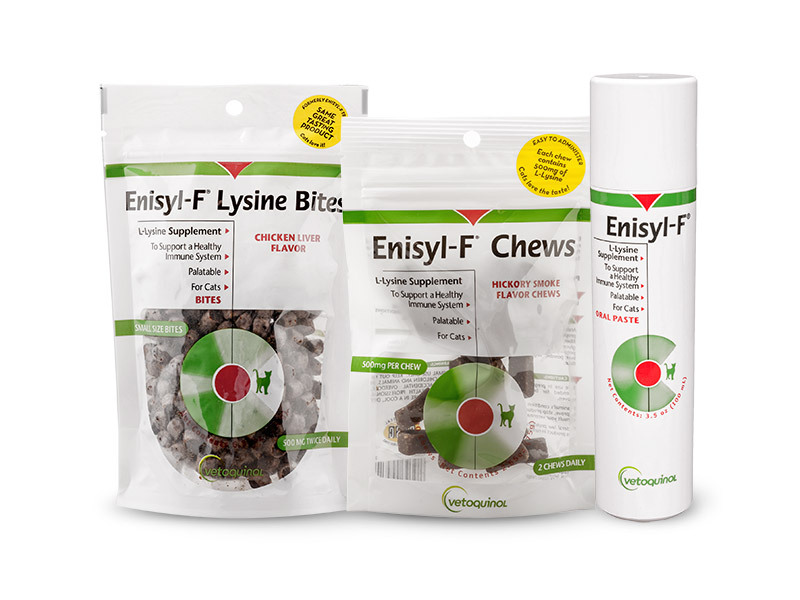 Enisyl offers multiple options to fit even the pickiest cats and is the pioneer of veterinary L-Lysine, trusted by pet owners for over 12 years. Enisyl-F is palatable and easily accepted by most cats. It can be applied directly in the mouth, on the nose, or on the paw, where it can be licked off. Consult your veterinarian before giving your pet Enisyl-F. Follow the recommended administration on the package, unless otherwise instructed by your veterinarian.